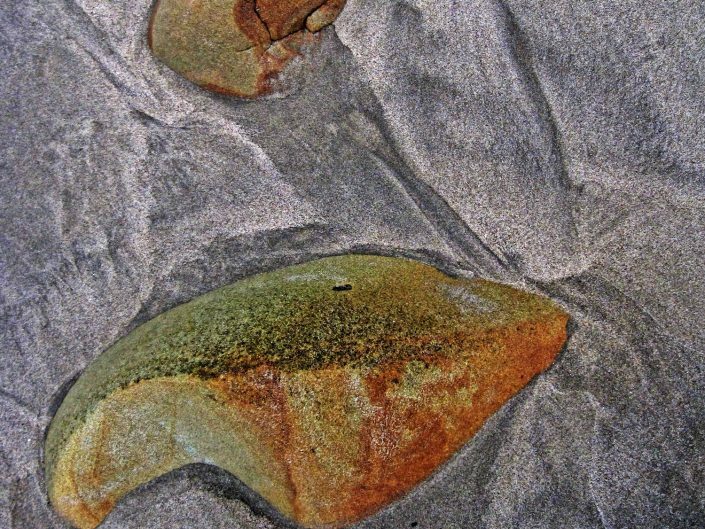 We lived in Montecito, California, for many years, and our beach was Butterfly Beach. 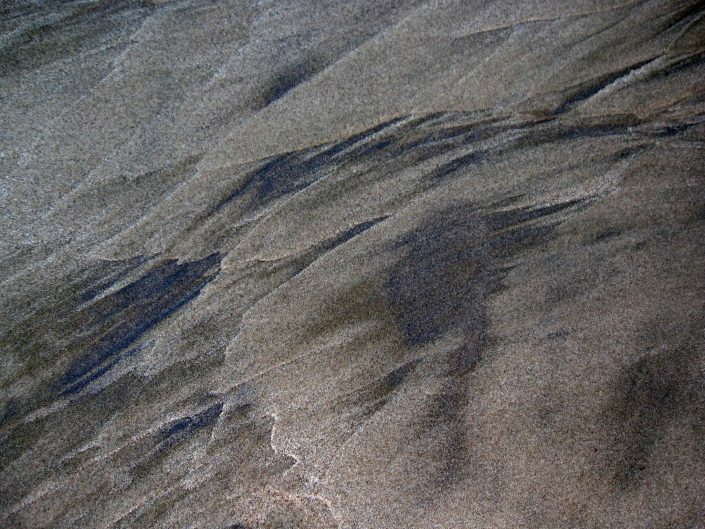 I spent a lot of time there. 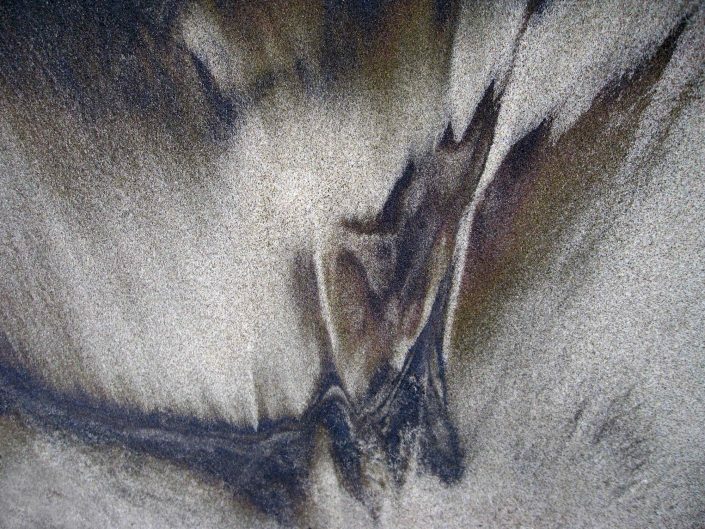 Images of Butterfly Beach appear throughout the galleries on this website. 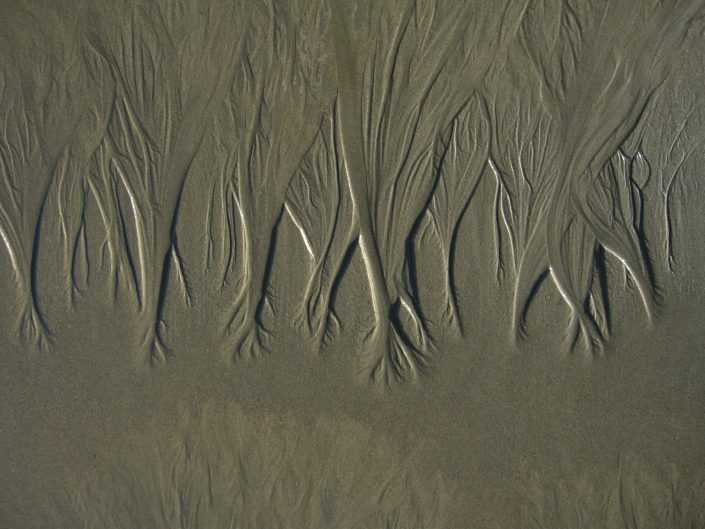 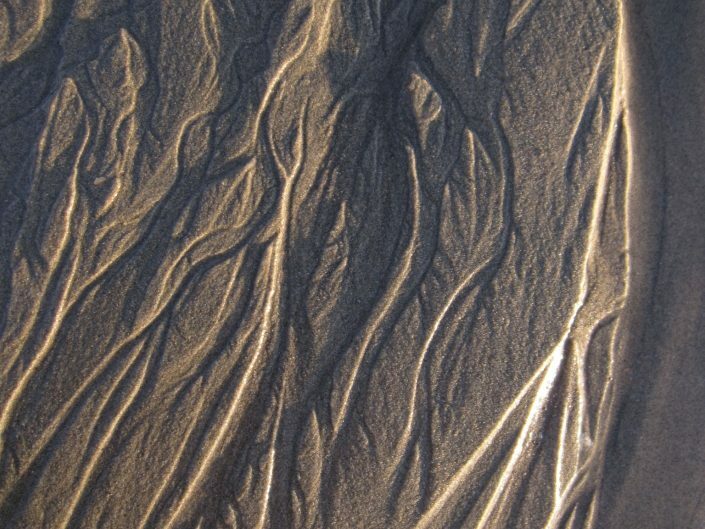 This gallery is of patterns I saw in the sand. 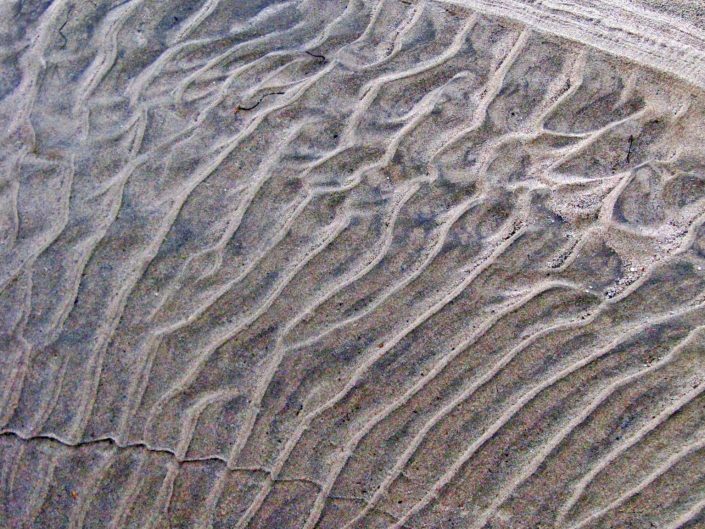 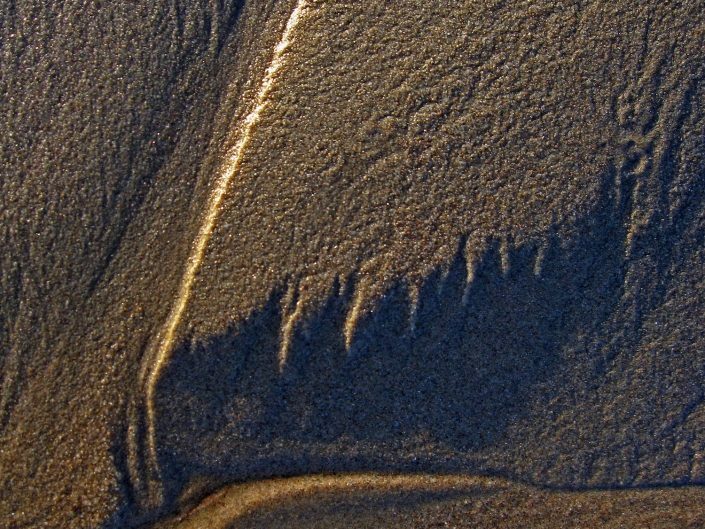 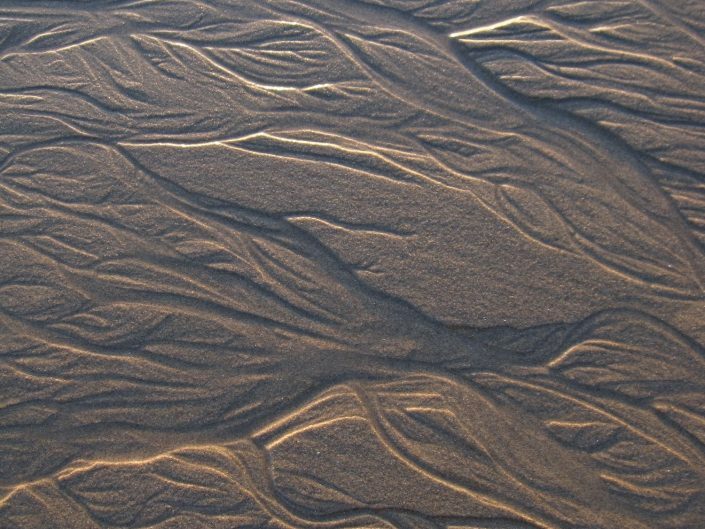 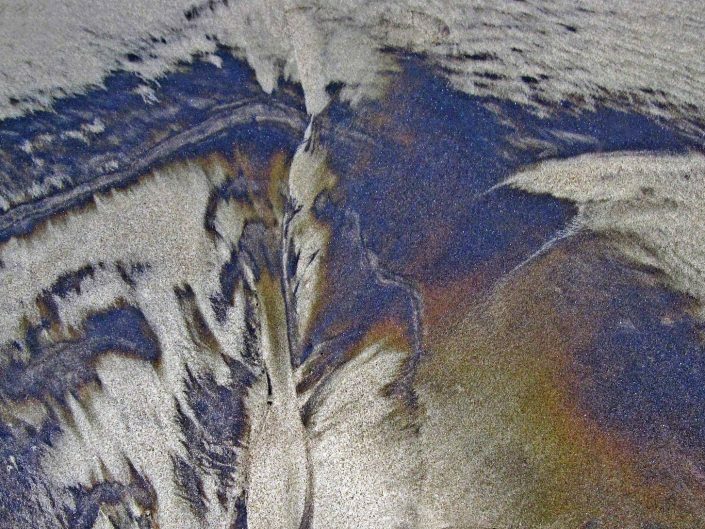 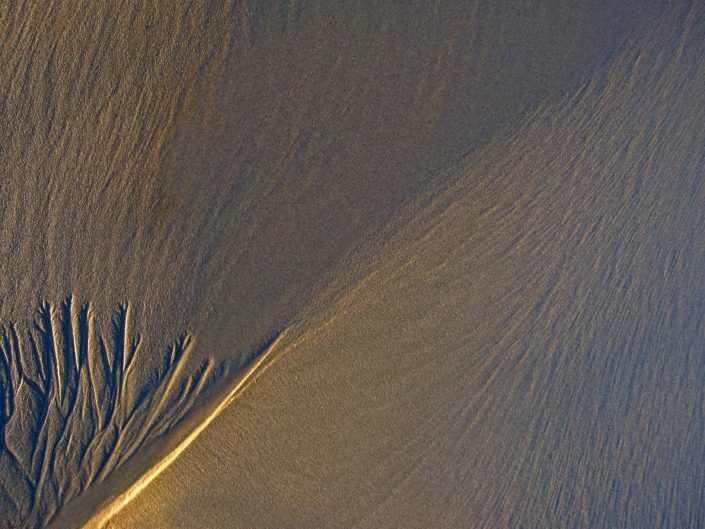 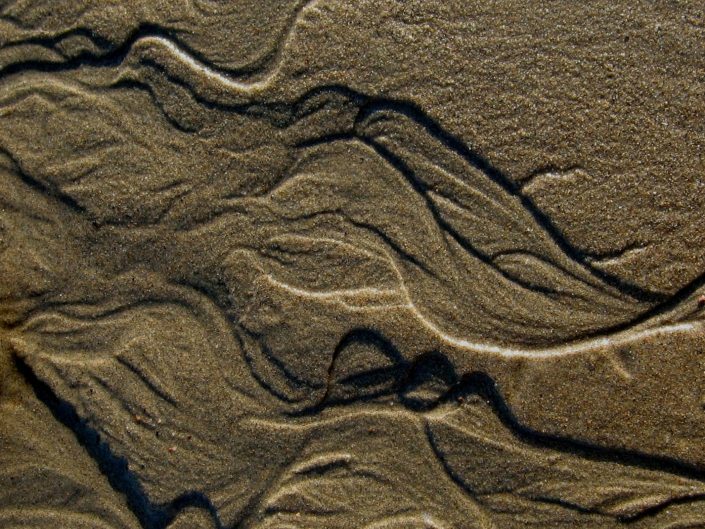 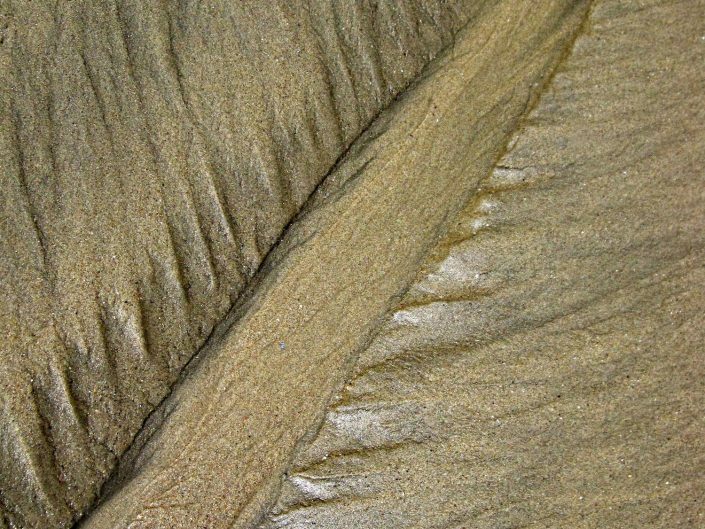 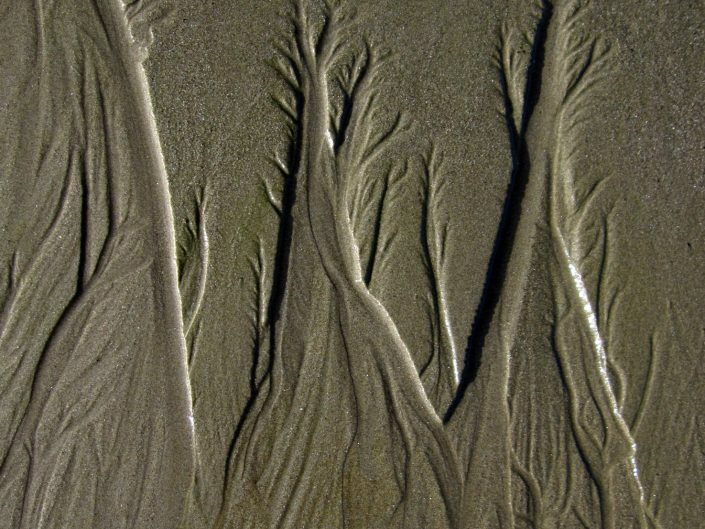 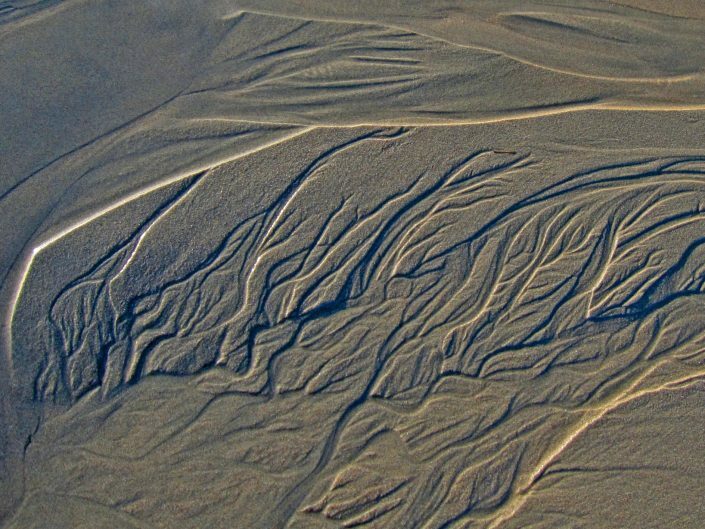 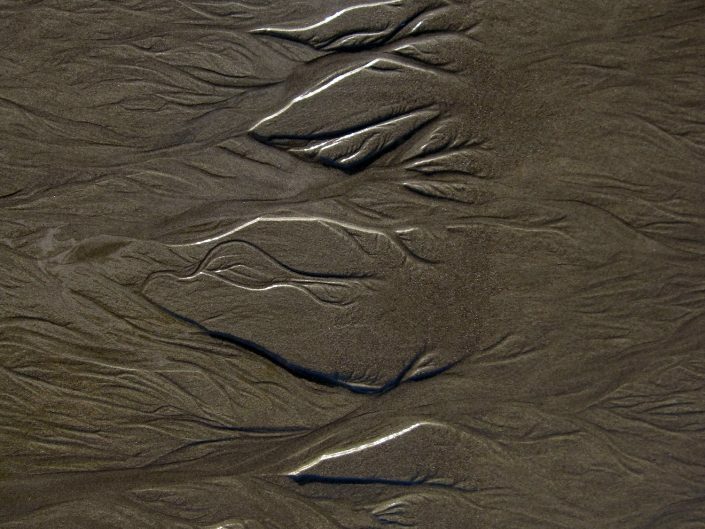 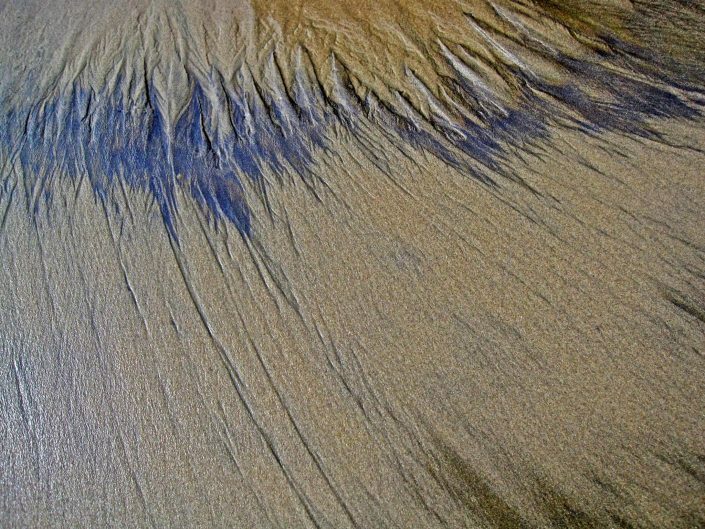 The patterns were produced by a combination of wave action, retreating tide, water draining out of the saturated sand at low tide, differential weights and colors in the grains of sand, and time of day (lighting). 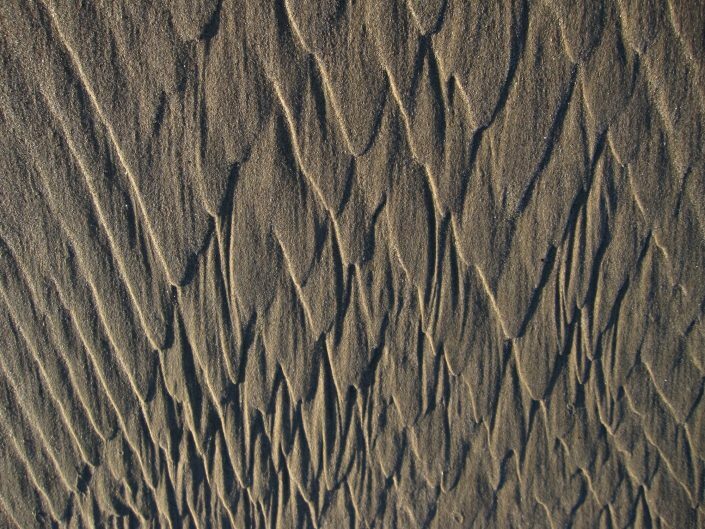 The ideal situation was at sunset when the light was at very low angle and accentuated the patterns, at low tide when fresh, un-walked on sand was exposed, after the water had drained out of the saturated beach sand and carved the patterns, and finding an area of super clean uniform colored sand with no broken shells or pebbles! 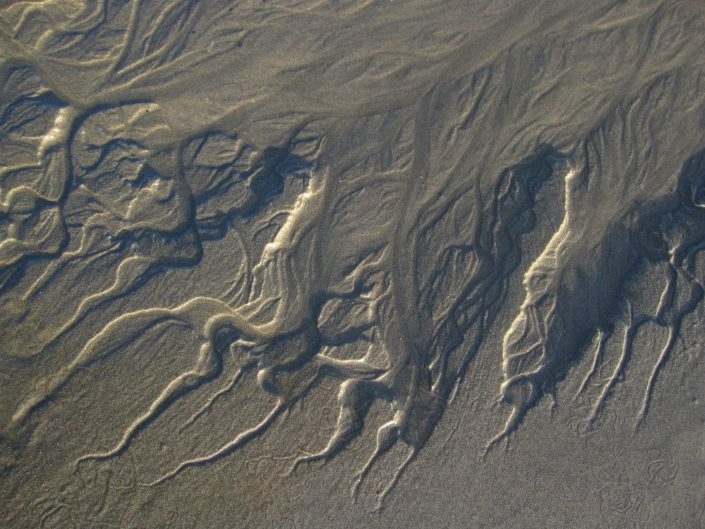 Images numbered 8, 12 and 14 below are examples of this. 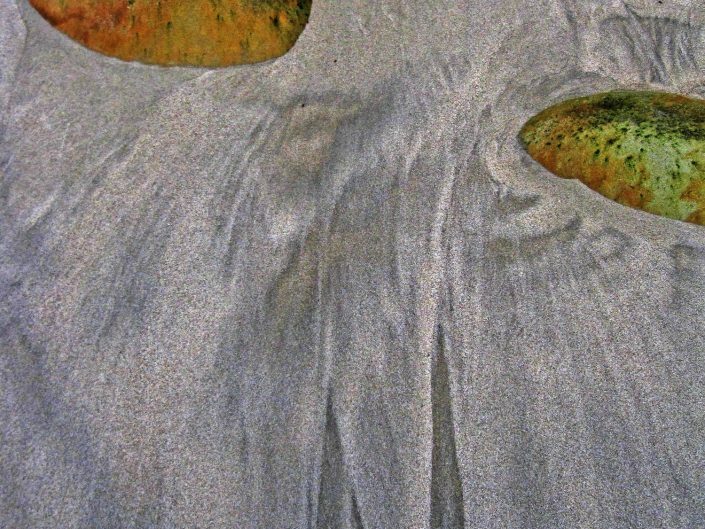 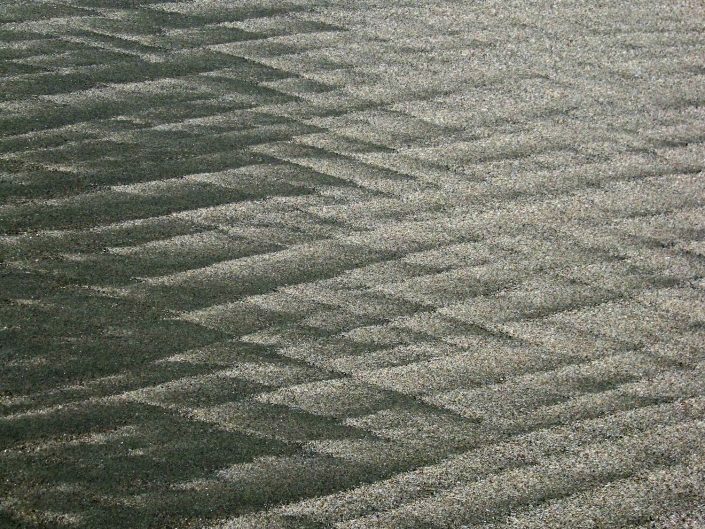 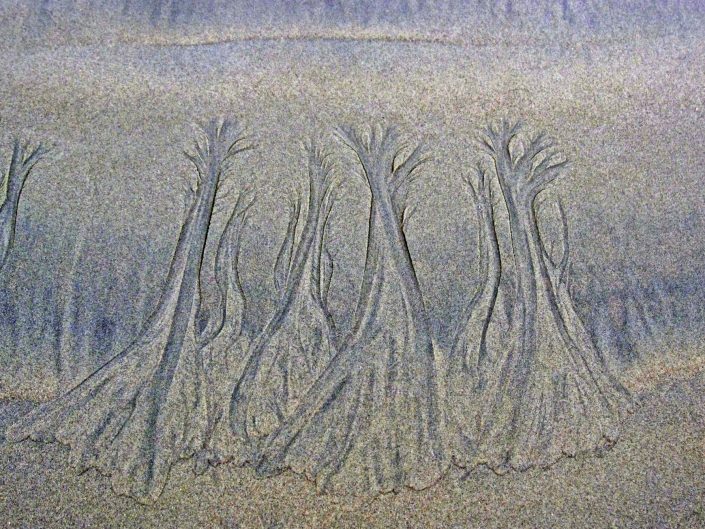 Scroll through the gallery of cropped images below, click on any image to view the full size image, and then scroll left or right to view the rest of the gallery, or click the back button to return to the Patterns in the Sand Gallery of thumbnails.